Since the last Blog, the recent fundraising musical event for the fields was a great success. I’ll come back to say more about that – and further plans for musical follow up collaborations between CFPS, SCF and others – in a Blog to follow. But for now, prompted by the discovery of the Christmas Post Card above, I wanted to take the opportunity afforded by this more relaxed time of year to look more deeply at fundamentals, and try to grasp some aspects of the ‘bigger picture’ of place and history that affect us. We need to be ready to think clearly about what we are doing from this longer term perspective as the discussion escalates. Why do I say ‘escalates’? That’s because it is possible this could be the penultimate Christmas for Chaucer Fields as unspoilt shared green space, wiping out hundreds of years of historical continuity. You’ll recall from an earlier Blog (18 September, see archive) that the intention of those supporting the ‘development’ was that the process of replacing this unspoilt part of the Southern Slopes with concrete and tarmac would begin in the autumn of 2014. Even though the planning application for this ‘development’ is still to materialise, this construction timetable is in theory still readily achievable, it seems to me, if three conditions hold in the year ahead. First, if the planning application is granted by Canterbury City Council, or won on appeal. Second, if the Village Green Application to Kent County Council is not successful. (We now know that the public inquiry into this will take place week beginning 18 March 2013.) Third, if the promoters of the scheme inside the University succeed in their efforts to trivialise, deflect and disregard not only the mass of opposition to it in the city and beyond, but also what is the dominant oppositional view within the University itself. The fact that the fulfillment of each of these conditions is far from a foregone conclusion, and that development can only proceed if all of them are met, must give defenders of Chaucer Fields and the Southern Slopes some grounds for optimism. At least, its all to play for at this stage. What will decide the result? Most of the debates in 2013 have already been prefigured this year. They are to do with how people and institutions use and value the land; the feasibility and desirability of alternative sites and approaches; the extent to which compelling environmental and economic arguments can be made against or in favour of situating the ‘development’ here; and the willingness of those with authority and power to listen to and learn from people with knowledge of, and attachment to, the places they live and work. So far, so incontrovertible. These sorts of considerations would presumably be in play anywhere in England when a highly contested ‘development’, evidently out of line with local norms and policies, is proposed by an enormously powerful bureaucratic landowner – whether they be in the public, private for-profit, or nonprofit sector (the University is legally in the last of these). However, I believe that understanding the issues in this way doesn’t really capture what is really at stake with this proposal. Why? Because no account is being taken of the historical dimension. Yet this is fundamental to the discussion. The ‘specialness’ and extent to which people and community’s cherish and value their surroundings is deeply bound up with their history. Indeed we need to start by recognising that in Canterbury, its surroundings and the District, history is especially important. 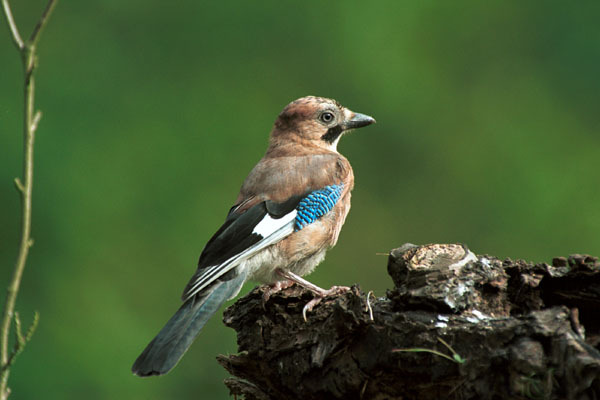 Our area is characterised by a remarkably rich sense of cultural and environmental heritage. Those of us who live here feel privileged to share such a fascinating place, and are proud to bear witness to its combination of natural and man made beauty with visiting relatives, friends or work associates. But why is heritage so relevant in this specific case? Well, the more I have looked into this, the more I have understood that the unspoilt ‘Chaucer Fields’ and the Southern Slopes really have a central part to play in that wonderful historical legacy of ours. When the Blog started 9 months ago, drawing on the archival research into texts and maps conducted by the Canterbury Archaeological Trust. 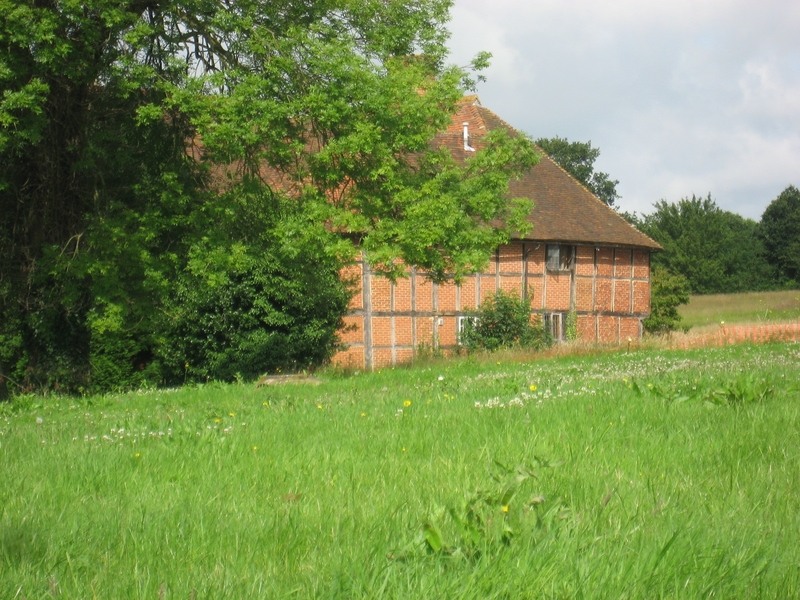 I stressed the ancient origins of this inheritance: How Beverley Farm, closely tied to the Slopes and Fields for hundreds of years, had originally been built in the late fifteenth century. I reflected on how those who built the core of this farmhouse, still in place today, would have had the chance to pause on the slopes, gaze south, and witness the erection of the Cathedral’s Bell Harry Tower in 1498. I tried to draw attention to the beauty of the mediaeval field structure, and the 300 year old precursors of the numerous paths that circumvent and criss cross the land to this day. I also stressed how amongst those associated with this place were some of of the key figures of the city’s history, such as the Roper family. And I noted the way in which, while some features are recognisably hundreds of years old, others gently reflect the more recent imprint of modern man’s activities, involving remnants of mixed agriculture, orchards, market gardening and latterly park land planting. No evidence of hop gardens, unfortunately! But other than that, how could it be more classically Kentish in character? But I now know that there is even more to it than this. And this is where the Post Card image at the top of the Blog comes in. 70 years ago, Canterbury people chose to gather on Chaucer Fields and the Southern Slopes at an existential moment in our history. 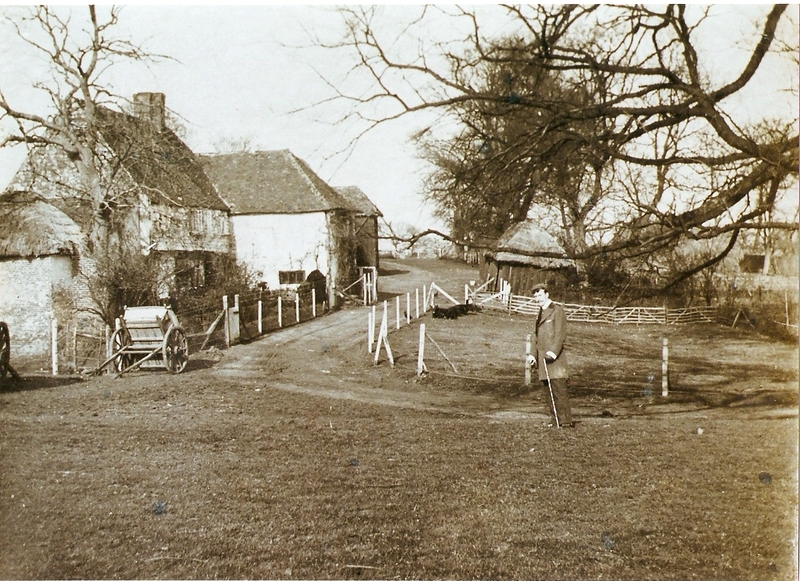 This was 1942, long before Chaucer College (from which the current term ‘Chaucer Fields’ probably originates), the University road, or indeed the University existed.Then, they would have simply talked of meeting in Beverley farm’s fields – perhaps having made their way up Beverley road, or having paused for refreshment in Ye Olde Beverlie public house, further down the Slopes.Why chose to meet there? They were heading up the Slopes to safely get a panoramic perspective of their city and its surroundings as it was bombed, and suffered great damage, in the midst of World War Two, as local writer Janet Cameron has discussed (see her short Suite 101 2010 article from 2010 on Canterbury and the Blitz). A year after the worst of the bombing was over, this was evidently still a favourite spot from which everyone could freely share views of the city and its surroundings. 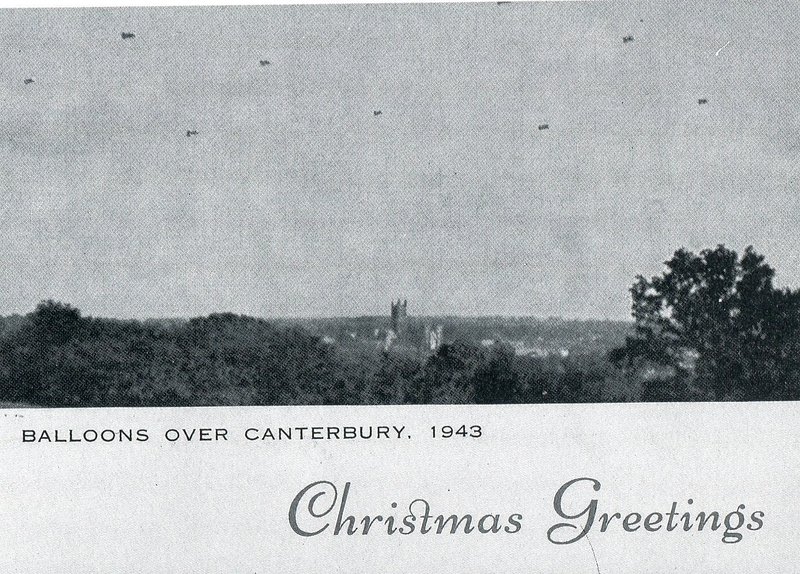 The city was now protected by barrage balloons, and the place had apparently become so well known as a place for appreciating the city and the nature surrounding it that a special Christmas post card was even created to capture the iconic view: hence the image with which this Blog began. You might think that the arrival of the University some 22 years later was the moment at which the status of these fields as iconic viewpoint and safe haven would be threatened. Not so. For most of the rest of the twentieth century, the establishment of the University on the hill was not seen as precluding the conservation of this special place at all. Indeed, the presumption that it was worthy of protection was actively build into policies and practices from the very beginning. 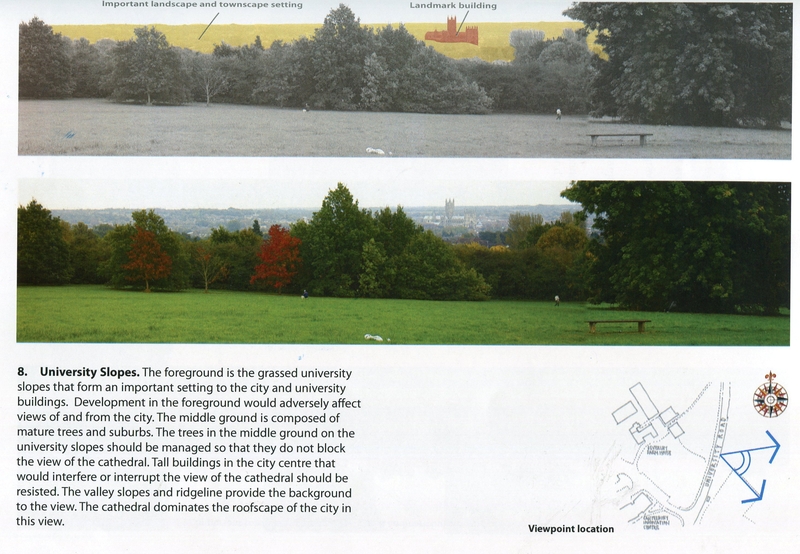 The land here had been made available by statutory authorities to the University on extremely generous terms (see Graham Martin’s From Vision to Reality: the Making of the University of Kent, University of Kent at Canterbury, 1990). But there were conditions. One was that it remained, in essence, open space, ensuring that those views and and the wonderful landscape would continue to be available for the people of Canterbury and of the new University alike. Some ‘development’ was to take place at the margins of this part of campus space in the ensuing 4 decades. The foundation of Chaucer College in 1990 clearly involved bricks and mortar. But the overall spirit of the beautiful landscape as experienced south of University road remained gloriously in evidence, and was explicitly undergirded by planning decisions and policies. Canterbury City Council records from 1990 show that the Planning Committee permitted Chaucer College to be built at all only because its low level, elegant buildings could be concealed due to the natural shape of the land. Such a development was possible and only in this particular topographical conjuncture. Uniquely on this particular plot of land, low level buildings could be erected without violating the ‘spirit’ of the wonderful Southern Slopes landscape at any time of year. Moreover, the importance of the Southern Slopes landscape south of University Road was to go on to be actively reinforced in planning policy. Landscape value provisions to this effect were to be found in the District Plans developed over the next two decades, and still to be found there in the current plan. Thus, policies and practices embodied a long established and reciprocal tradition of respect for, and commitment to this place, as unspoilt, shared open green land until very recently. The unexpected, shocking, unilateral abandonment of this commitment by elements in the University in the very recent past, with the launch of the ‘development’ proposals, must demonstrably be seen as an aberration from this historical perspective. But I hope that you will agree with me that this situation is entirely reversible. As awareness of the longer, positive legacy of co-operation grows, we must hope that 2013 will be the year in which respect for our heritage is reasserted. The University’s 50th birthday is approaching. So it is time to think about this issue in a historically sensitive and responsible way once again. A voluntarily initiative by the University, through a withdrawal of the Chaucer Conferencer Centre proposals next year, and an intelligent rethink of its development options, is the way to go. This is needed to ensure that the University is working with, rather than against, both the local community that hosts it, and the overwhelming majority of its own people. This entry was posted in Uncategorized and tagged balloons over canterbury, Beverley Farmhouse, Beverley Road, Bombing Canterbury, Cathedral View, Jay, World War Two, Ye Olde Beverlie by Chaucer Fields Picnic Society. Bookmark the permalink.